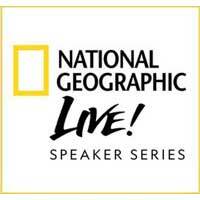 Experience National Geographic Live in Nashville! Meet National Geographic explorers as they share their behind-the-scenes stories straight from the front lines of exploration — illustrated with stunning images and video—live on stage at Schermerhorn Symphony Center. The Arts & Culture Alliance of Greater Knoxville announces a call for photographic works for its seventh annual Knoxville Photo 2019. The national call for entries is open to all artists. This juried exhibition was developed to provide a forum for artists to compete on a national scale and display their work. Approximately 40 photographic works from both emerging and established artists will be selected by the juror, Lynette Miller, for exhibition in the main gallery of the Emporium Center at 100 S. Gay Street, Knoxville’s downtown arts anchor location. The Emporium is free and open to the public Monday-Friday, 9:00 AM – 5:00 PM (and additional hours for special events). The deadline for entries to be received is Sunday, May 5, 2019. Prizes include over $1,000 in cash awards, and exhibiting artists will receive a catalog of the exhibition. Artists may view the information, complete the entry form, and/or download an application at www.knoxalliance.com/photo-entry. Hi everyone. I want to pass some information to you about two events sponsored by the Georgia Nature Photographers Association (GNPA) this spring and ask you to please pass this on to your members. The first event is a one-day seminar by Rick Sammon on 13 April in Norcross, GA. His presentation is titled Creative Visual Photography. Attendees will also get 3 of his lesson packages on Master Landscape and Seascape Photography, Get Motivated and Stay Inspired, and Life Lessons. The fee for this one-day seminar is $90, but if you register for the Expo first, there is a discount of $15. The second event is our annual Expo to be held at the Convention Center in Columbus, Georgia from April 25th to the 28th with lodging at special rates at the Marriott immediately across the street from the Center. Early registration for the Expo before April 1st is $175. This is the 10th Anniversary of the founding of GNPA and we are focusing on workshops and lessons to improve the photography of our attendees as well as four special keynote speakers: Charlotte Gibb, Amy Gulick, David Middleton, and Ian Plant. I have attached three slides that cover the events of the weekend and hope that you will send this information on to your members. Stay safe and thanks in advance for taking time to pass this information on to your members. Live and learn inside Great Smoky Mountains National Park. Bill Lea, and Tom Vadnais guiding you through the best photo spots of the Smokies. assistance and helpful critiques during these energizing weekend workshops. Byron will be teaching this, in conjunction with the TN State Parks, and you will sign up online through them. Maximum of 15 participants for this workshop. **All meals, taxes and the workshop instruction is included in the cost of the workshop, but NOT the lodging. We will be staying in the cabins at Cumberland Mountain State Park in Crossville.